We are vehicle repair specialists and the leading choice for car servicing in Cheam,Sutton We offer a wide range of services on all makes and models of vehicles, carried out by experienced and well trained professionals on site. What sets us apart from other local garages is quality of our work and the standard at which we deliver them, which is second to none. Complimenting our exceptional auto services is our huge range of high quality auto spares and products in our shop. We stock all major brands and our prices are affordable. At Cheam Motor Spares & Auto Services, our policy is to advice our customers on the best ways of saving money without compromising on quality or safety. Our friendly and experienced staff are always at hand to give you honest advice that will help you. Why wait a week for an appointment? We can get your vehicle tested right away or leave it with us for a while and collect it later while you go about your day. If your car fails the MOT test, we will give you a free no obligation and accurate quote for repairs to get you back on the road safely in as little time as possible. It is important that your vehicle is serviced regularly. Not only will this save you money in the long run, but failing to service your car at the manufacturer's recommended intervals could lead to excessive wear, breakdowns and expensive repairs. At Cheam Motor Spares & Auto Services, our experience staff will undertake the required servicing needed for your vehicle to the highest standard. We specialise in computer aided diagnostics among the many excellent auto services we offer. Repairing any problem to your vehicle at Cheam Motor Spares & Auto Services is done quickly and efficiently by experts. Repairs can be expensive and frustrating, and if not done properly, they can be dangerous. 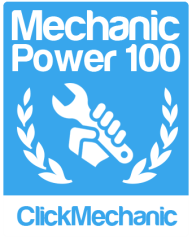 It's best to use an honest professional with an in-depth knowledge of vehicle mechanics, servicing and modern computerised vehicle systems. Fortunately, you will find them at Cheam Motor Spares & Auto Services, you can trust on us to deliver an honest service to the highest standards at a low and affordable price. Furthermore, we guarantee all our work, because we are confident we can deliver quality workmanship all the time. Cheam Motor Spares continually invest in people and equipment and our commitment to providing automotive excellence makes the first port of call for car diagnostics in Cheam. We understand that the demands of modern motoring present new challenges and we are continually updating our equipment and services to cope with them all. We also specialise in clutch and brake repairs in Cheam,Sutton where all of our work is carried out using quality OEM or equivalent components to bring you an unrivalled blend of service and complete peace of mind.